What is Bank Identification Number (bin number)? Typically, the bank identification number is going to be anywhere from 6 to 9 numbers long, and plays a key role in helping merchants to accept transactions, be able to track where the transactions are coming from, and also be able to better serve customers through quick and easy card usage. The Bank Identification Number, commonly known as BIN, is a number that is used to identify and verify certain aspects of the transaction. Not only can this number give you information about the bank that issued the card, but it can also give you information about the type of credit card ( Visa or MasterCard), the phone number of the bank, and other details that are related to the institution that issued you the card. The Bank Identification Numbers are assigned and distributed by the American Bankers Association. The company currently does not make any of their database information available to the public, for fear that it would increase the amount of fraud that is dealt with through the use of credit cards and debit cards, and also because the database is rapidly changing as new information is given to the Association. It would be almost impossible to keep an updated database available to the public, even if they wanted to. 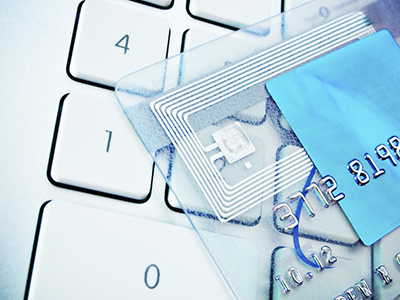 It is easy to see why this identification number can really be to the benefit of merchants. Imagine collecting payment for something that you have sold to the customer, and only being able to accept dollars, or the old-fashioned credit card method of accepting the credit card, perhaps taking down some information from the customer that is utilizing the credit card so that you can find the middle later date if they are committing fraud, and then mailing that information to the credit card processor, who bills the owner of the card, and deposits the money from the sale and he your own account. It is very easy to see why using these types of identification numbers can be very helpful to merchants, allowing them to do business much more smoothly with their customers, and accepting payments in a range of different ways. There are many things to take into account, and many reasons why the world as a whole has moved to this type of system. The first six digits of bank identification number, is going to determine the institution that issued the card. These institutions include Visa, MasterCard, Discover card,American Express, and various different types of department stores that utilize these cards to issue credit cards to their customers.the other numbers on the card are used to verify different types of information including the bank, the phone number of the bank, and other details that are related to the institution in which the money is going to be drawn from. It is easy to see why this type of system is going to be a huge benefit to merchants. Not only is it going to allow them to increase the speed of their transactions with individuals that are using these cards, but it allows them to take multiple payment methods other than just cash. In this day and age, since the advent of the Banking Identification Numbers in their widespread use across multiple different types of networks, many people do not even bother to carry cash around on them anymore, and instead are simply looking for companies that are going to accept the type of card in which they are looking to pay with. Of course, with any type of number that deals with financial transactions, you were going to have some fraud that is going to have to be dealt with. Between stolen cards, chargebacks, and identity theft online, it is very important that individuals that utilize these cards, and any merchants that utilize the cards to process transactions, are very careful with the information that they have in their hands, and do not allow it to fall into the wrong hands. The banking identification number is something that has allowed the usage of cards to grow immensely over the course of the last 30 years, with debit cards and credit cards becoming the normal form of payment, connecting directly to the bank and allowing for instant approval and depositing of funds between a multitude of different institutions.